Compare pricing for party buses in Winston Salem North Carolina. Best affordable party bus rentals in Winston Salem, NC. Price4Limo has over 12,000 vehicles in our inventory with photos and prices for you to choose for your transportation needs. Getting a free quote takes less than 30 seconds and no email is required! Party Bus Winston Salem, NC. Visit History in a Winston Salem NC Party Bus. It is always fun when you can combine a bit of history with modern night clubs, parties and new adventures. And this is exactly what you can do during your visit to Winston Salem NC. Known for being the home of North Carolina School of the Arts, this city if filled to the brim with unique people, special talents and urban atmosphere. You can’t possibly find another town that has the perfect combination of shopping, entertainment and cobblestone streets! Popularly referred to as the Piedmont Triad, Winston Salem is close to Greensboro, Highpoint and Chapel Hill. Here you will find not only a colorful cast of characters, but also plenty of unique things to do! And the best way to do it all is from the comfort of your very own Winston Salem party bus! No matter what your plans are while you are in Winston Salem, you will definitely want to show off, have a good time and really have a chance to relax. Your party bus rental will make sure you get just that! 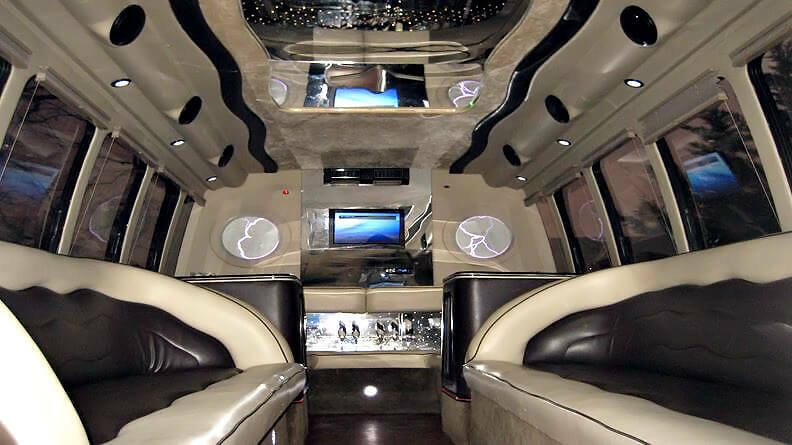 Winston Salem party bus rentals offer a fleet of shiny, clean and comfortable luxury vehicles. 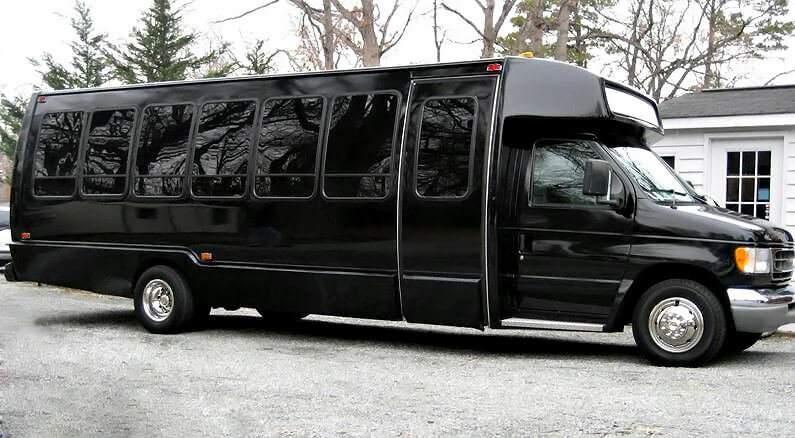 Whether you are looking for a limo party bus for your wedding party or a full blown party bus for a wild night on the town, you will certainly find the vehicle to meet your needs. And where would you go? Only to the best restaurants, nightclubs and pool halls in town of course! Start off your night at the Carriage House Restaurant from some of the best steak and seafood in the city; you can’t miss it, it’s right in the middle of the entertainment district on Stratford Street. Of course you then have your choice of a game of pool at Minor’s Billiards (27105), rib busting jokes at the Comedy Zone (27407) and live music at Ziggys Music Hall Lounge on North Trade Street! And you can’t go to Winston Salem without checking out the hottest beats in the State, so head on over to Platinum Night Club (27101) where the party is always on! Your Party bus driver will take you wherever you want to go, and even show you some new places along the way. You won’t have to worry about a designated driver or getting lost in a new place! You can sit back, be treated like a super star and live up the good life in your party bus rental Winston Salem. 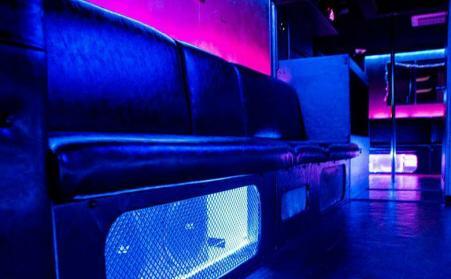 Even for the younger crowds, a Winston Salem North Carolina Party Bus Rental is a great option. 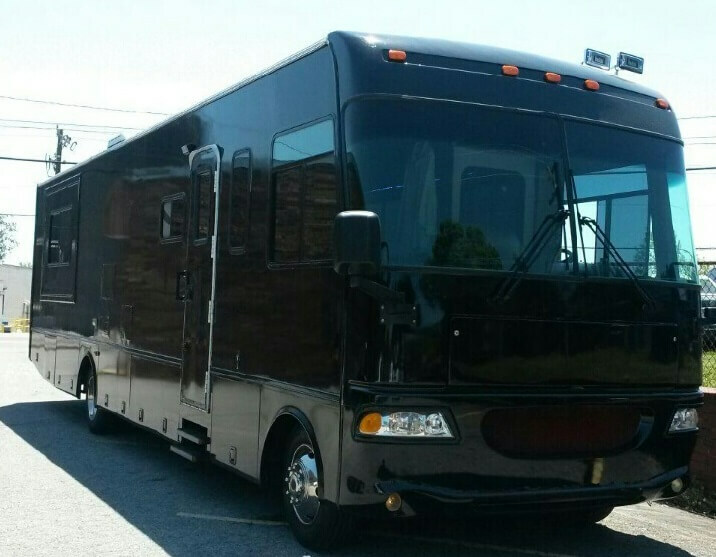 When the prom rolls around, you’ll be the envy of the school when you roll up to the prom in a prom party bus in Winston Salem! Take some time to check out the cobblestone streets; or if you’re of a mind you should check hotspots in local cities like Chapel Hill, Kinville, Clemmons, Raleigh and Highpoint. All have uniqueness about them that have visitors coming back year after year. And be sure to ask your driver about the hidden gems that lie all around the cities.